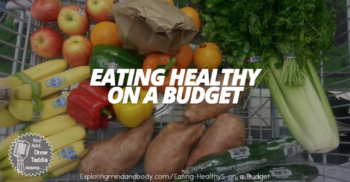 Join Drew Taddia and Dorothy Keith on this Edition of Exploring Mind and Body as they talk about Eating Healthy on a Budget. Think it’s too expensive to eat healthy? Then this show is perfect for you! Dorothy offers her top 5 tips on how you can actually save money by shopping healthy. There is all kinds of tips and takeaways for anyone shopping on a budget or anyone looking to save some money.